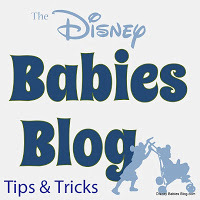 Disney Babies Blog: Different Rooms - What's the Deal? That's actually a minimal amount of options! If you're looking at resorts like Caribbean Beach or Port Orleans Riverside, you will also find special themse (Pirates/Princess). Choosing can be very difficult, so let me break it down! If you are staying at the Caribbean Beach Resort and want to be close to the main building/restaurants/pool, you will be paying for a preferred room - whether it be a "water view" or a "king bed" room, you're paying more to have the convenience of walking to Old Port Royale Centertown - good to know if you are using a refillable mug and want to get your soda! Taking the internal CBR bus is an option, but do you really want to do that before going to the parks? Do you plan to spend a lot of time at the resort, or more time at the parks? If you're like me and spend most of your day in the parks, head out of the resort well before park opening, and often have breakfast in my room, Club Level may not be the best bet. Read this great overview from @RMZFarrell. Is a View Worth It? A view can cost you a good amount of money, depending on what resort you are at. For example, if you are staying at Disney's Animal Kingdom Lodge, a Savannah View costs around $100 more per night. Worth it? For me, absolutely! If/when we stay at Disney's Animal Kingdom Lodge, I want to wake up in the morning and see the animals! But, maybe you're okay having the ambiance and don't mind walking a few steps to see the animals from the viewing areas! Whether or not you are paying for the view, you still have access to night vision goggles to watch the animals meander in the dark! What about the Special Themes? Well, Disney's Caribbean Beach Resort is a very large and spread out resort. Rumor has it that a few of the buildings weren't very popular because they were so far from Old Port Royale. So, they upgraded them to Pirate Themed Rooms - Pirates are huge and apparently they sell out pretty quickly now! Another themed location is Disney's Port Orleans Riverside - they have Royal rooms - perfect for your little Prince or Princess (or me!). Suites: 2 conjoined rooms - basically a very small 1 bedroom with an attached living area that converts a sofa to a bed. Expect 2 bathrooms and probably a full kitchenette! 2 bedrooms - you guessed it - 2 separate bedrooms on top of the living area and kitchen! Again - most have the washer/dryer in the unit! Grand Villa - These massive rooms sleep up to 12 and are apparently amazing. I would love to have a first hand experience at the Saratoga Springs Treehouses, but they're not in our future plans just yet!